We are the leading Toronto-based urology clinic affiliated with the University Health Network, Canada’s largest healthcare and medical research organization. University Urology Associates was founded in 2007 to provide enhanced patient care by combining traditional treatments with the state-of-the-art medical technology. Our comprehensive suite of surgical and minimally-invasive therapies allows us to treat a wide scope of urologic conditions, uro-oncological diseases, and sexual dysfunction in men and women with high success rates. 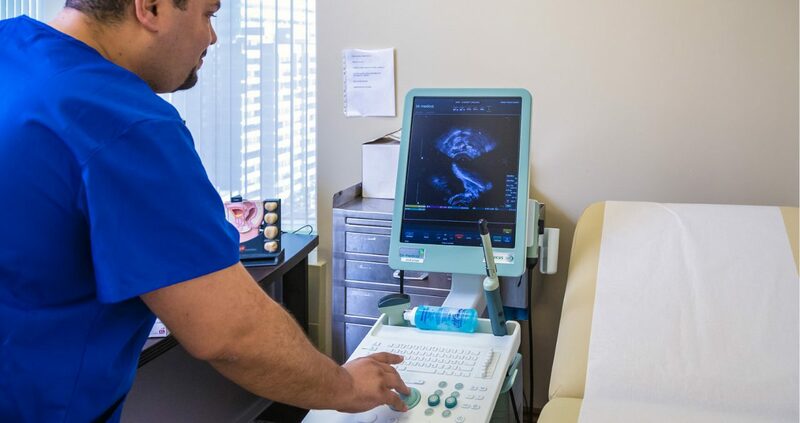 We are proud to offer such advanced and effective treatments as laser therapy, low-intensity shockwave, biofeedback, and high-intensity focused ultrasound. Our clinic is the home to Toronto’s leading specialists recognized by peers and the community for their commitment and contribution to the field of urology. As a patient of the University Urology Associates, you benefit from our doctors’ vast experience, in-depth expertise, and a personalized approach. The initial consultation takes place at our bright and spacious offices at 123 Edward Street. 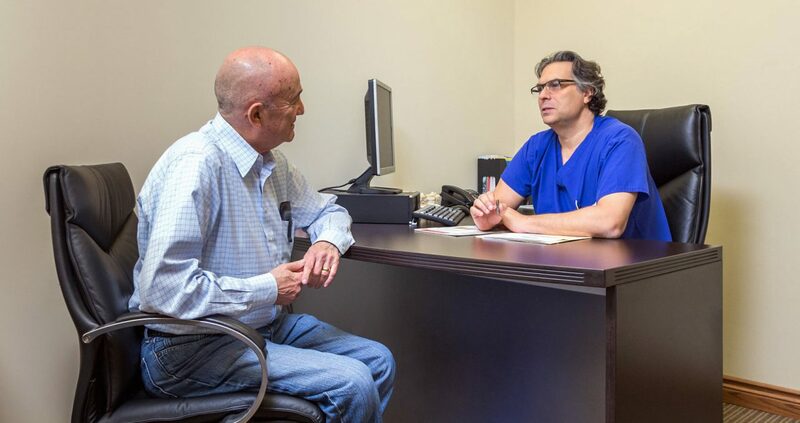 All consultations are confidential and are conducted one-on-one with the consulting urologist. Once you describe your concerns, the doctor will outline your testing and treatment options. You will then have the opportunity to ask any questions. Many tests are performed directly at our clinic. If further specialized tests are needed, we will refer you to one of the labs located in the same building or the nearby area. Depending on the complexity of your condition, a second consultation may be required prior to scheduling your treatment. We look forward to helping you achieve better health. Dr. Elterman has helped me tremendously! He was kind, caring and answered all my questions. I am so happy that I was referred to him he helped fix my overactive bladder and now I can do the things I truly loved to do without going to the bathroom every 5 mins. Would highly recommend him!! My prostate cancer suddenly worsened to Gleason 7, and I faced the task of choosing how to treat it. I selected Dr. Dean Elterman at Can-Am HIFU (UUA) because focused ultrasound was said to have excellent results with over more than a decade of use, be painless and, amazingly, the operation would be completed in a few hours. As a dyed-in-the-wool pessimist, I expected some difficulty, but I was very pleasantly surprised by the entire process. I went into the operating room at 8am, had a spinal anaesthetic neatly delivered and pain free, some sedation, and woke up at 12 noon with no grogginess. I had a drink of water, a sandwich, talked to the competent, friendly staff and my wife, and left the clinic for home at 2 p.m. I had no pain, absolutely none, the catheter was not really unpleasant, and once it was removed, I urinated regularly and easily. Dr. Elterman astonishingly replied to telephone calls and emails, a new experience for me. I don't yet know the long-term results, but I was more than pleased at the initial stages. Worth every penny! Sidney Radomski saved my life. I had been diagnosed as not appropriate for surgery by another doctor..., but I managed to get a consult with Sidney. He listened and he acted. Within a few months I was completely well after self-catheterising for a year and a half due to my earlier urologist... I did have to go back a year and half later for a TURP because scarring had lessened my flow but after three years I am great. Thanks Sidney, you are my man! I do referrals for a clinic outside of Toronto and the patients we have referred to Dr. Hassouna for vasectomy or circumcision have been very pleased with the service and care. We get good feedback. Dr. Finelli is AMAZING. He makes you feel comfortable especially dealing with such issues. Cannot say enough great things about him. The results are more than I expected. I haven't seen a stream like I am producing in almost 20 years and you know I started with this issue quite young. The [Urolift] procedure went as you explained which gave me a lot of confidence. You and your head nurse Deborah are an amazing team.